Signs || I picked up a bunch of cheap chalkboards at craft stores whenever they were on sale (I don't think I paid more than $3 for any of them!) and used them for anything and everything that needed to be labelled at the wedding. 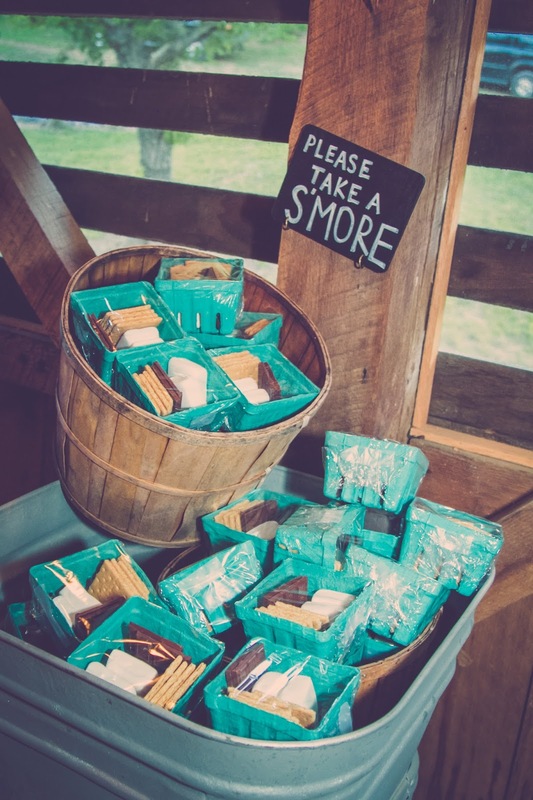 These were incredible easy and cheap, but they added such a personal touch to the wedding! Ring Bearer Box || I looked and looked, but I was never able to find a ring bearer pillow that I actually liked. So I decided to go a different route and make a box for him to carry. I found this box at Hobby Lobby for just a couple bucks. I already had the wood stain and chalkboard paint, so this project cost me less than $5! 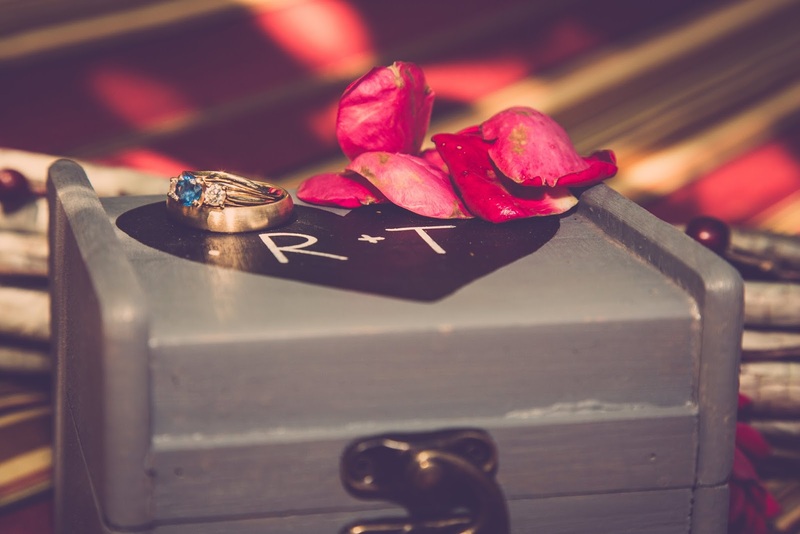 I simply stained the box, painted on a chalkboard heart, and wrote our initials inside. The box actually worked really well for us since our ring bearer was just two years old and boxes are much harder to mess up than pillows. We also put a Matchbox car inside instead of the rings so that when he finished with walking down the aisle, he had a toy waiting for him! 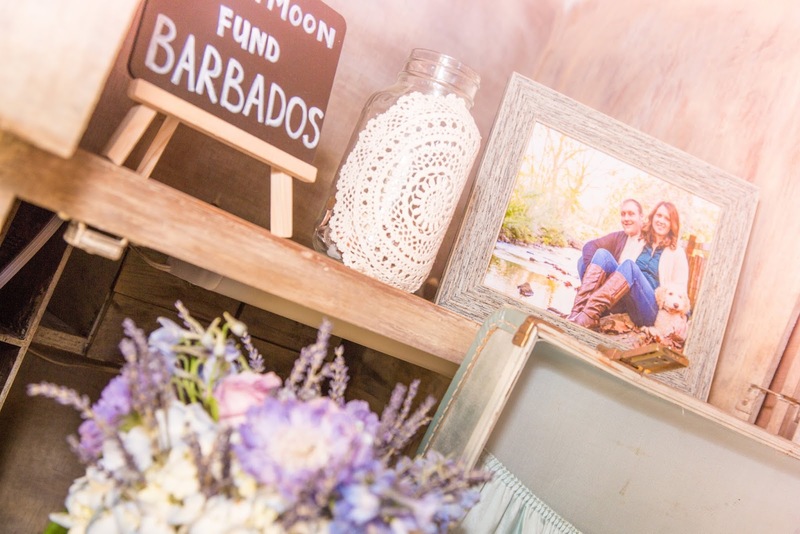 Photo Booth || Have you ever looked into renting a photo booth? I could not believe how expensive they were! Like thousands of dollars expensive!! Since I don't pay full price for anything, I knew that wasn't going to work for us. So, I made a sign, got some props and set up a camera on a tripod. Ta-da! 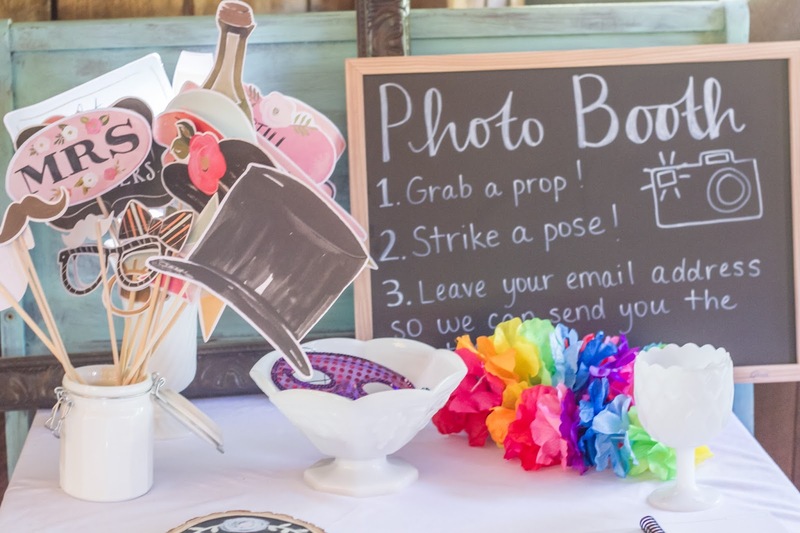 Photo booth for less than $50! Menu || I found this antique bread board at a local antique store a while ago. I loved the board, but didn't really have a plan for it when I bought it. 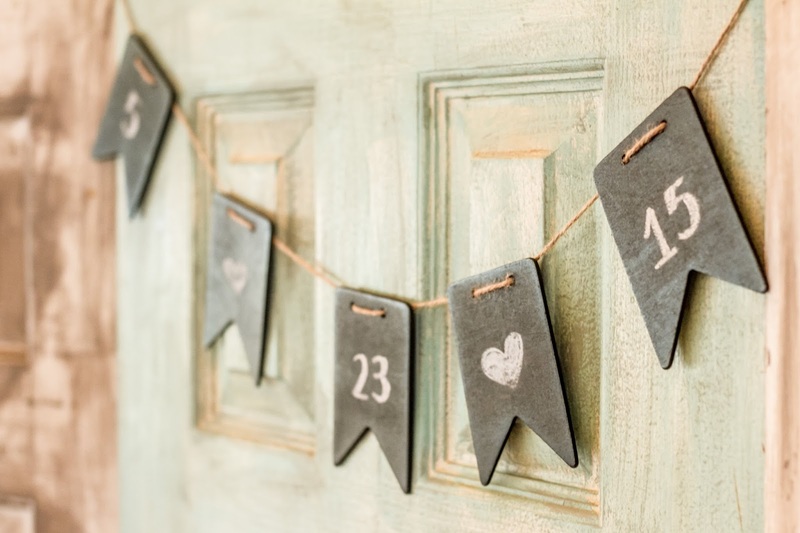 Once we decided to go with chalkboard for the wedding, I knew I wanted to incorporate it somehow. 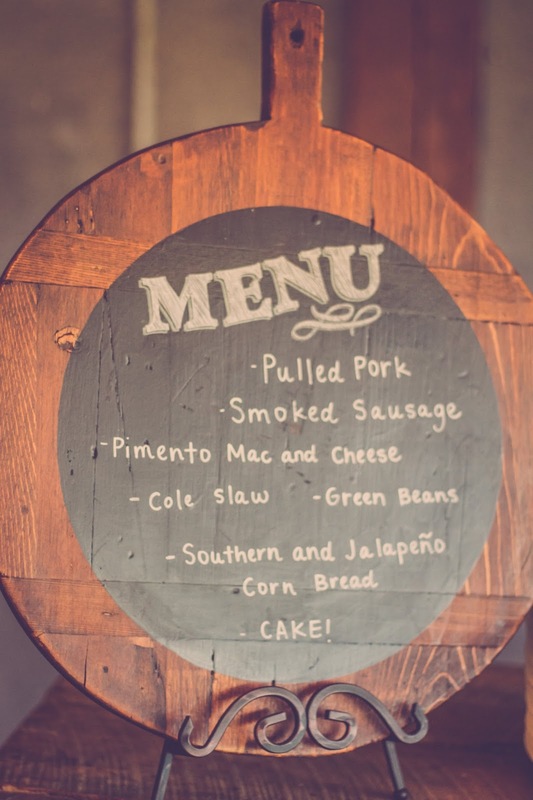 We decided to paint one side with a chalkboard circle and use the board to display the menu. 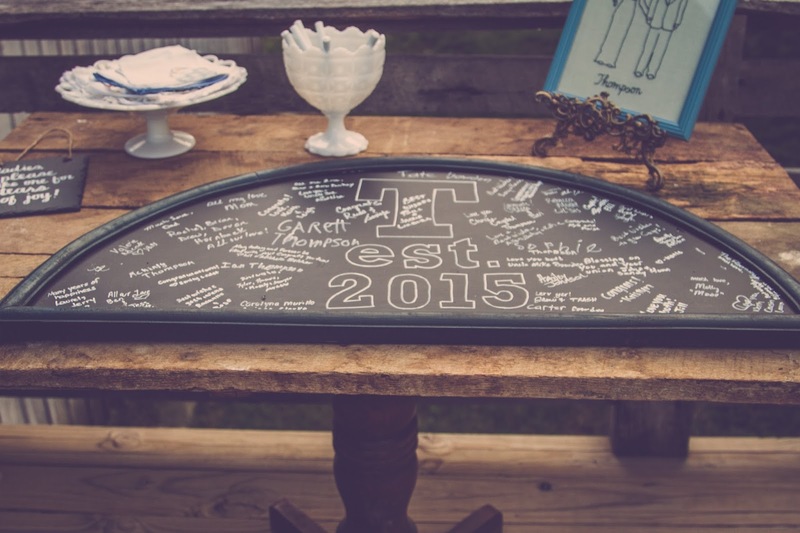 Guestbook || I knew I didn't want to do the traditional book. I wanted something we could display in our home to remind us of our special day. So, I bought an old framed mirror from a local antique store and covered it in chalkboard paint. It took several coats, but I am really happy with how it turned out! 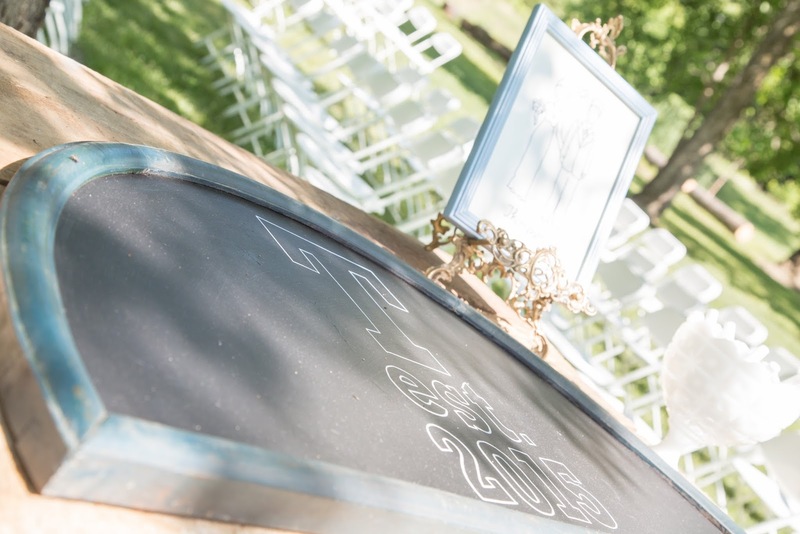 I drew a simple design in the middle and just left chalkboard pens out on the table for all of the guests to sign. The finished product is beautiful and Tyler and I plan to hang it above our bed. 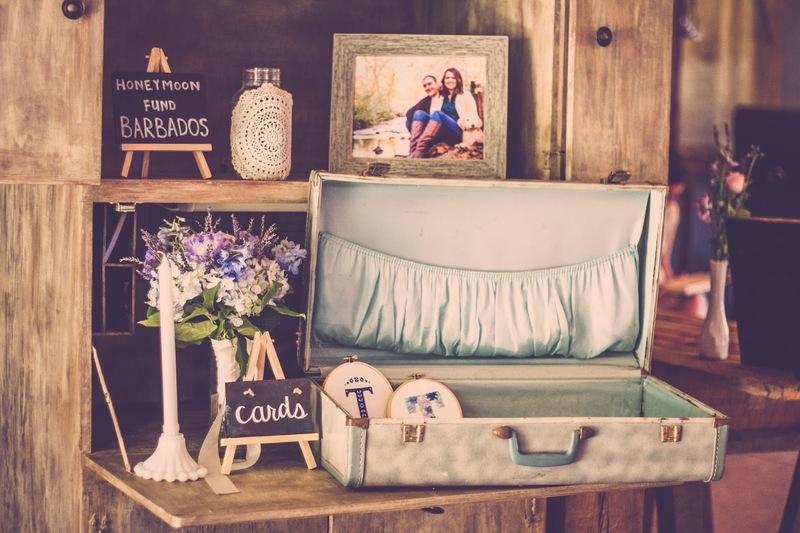 Stay tuned for a couple more wedding-related posts about the antique and embroidered details we incorporated into the wedding! P.S. This tutorial on how to fake calligraphy really helped me out with my chalkboard writing. P.S.S. 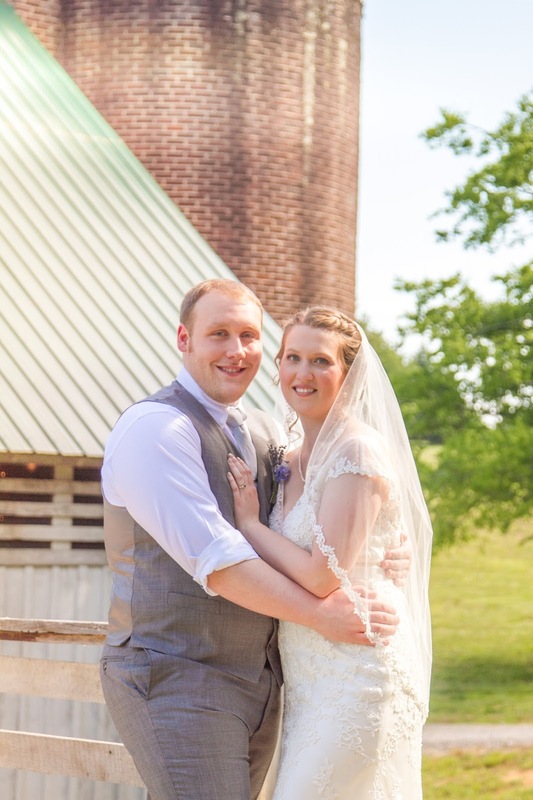 If you're in the Knoxville area, I highly recommend you check out Blaicher Photogrpahy! 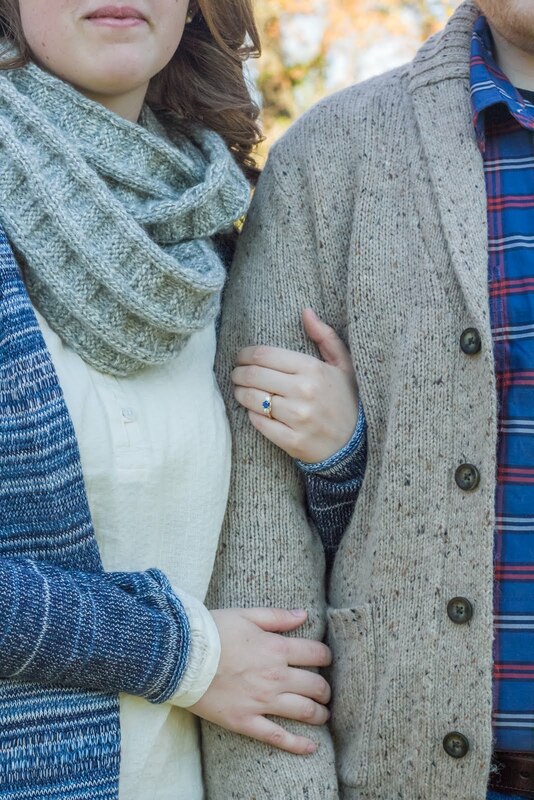 They did such great work on our wedding photography!